At The Ganzhorn Suites, we deeply care about providing your loved one with an environment where they can grow. We believe purposeful, meaningful living is achieved by engaging with our residents, not just doing things for them. We offer many ways for residents to engage on a daily basis: including exercise programs, games, gardening, and more. Our caregivers offer praise and encouragement, and reassurances are customary. 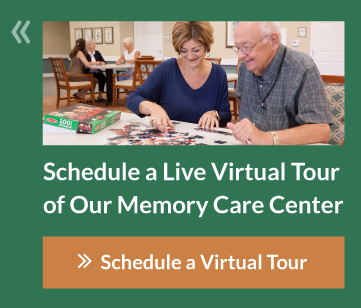 Purposeful senior living and enrichment opportunities are in every moment we share with our residents – something especially important when caring for those with memory loss. At The Ganzhorn Suites assisted living facilities, we take every opportunity to create meaningful experiences that provide our residents with a sense of identity. From planned events to the way we say “hello”, even the simplest activity can be beneficial and worthwhile. Interaction with our caregivers is a core part of creating a meaningful living experience for loved ones with dementia or Alzheimer’s disease. Our caregivers use conversation techniques and touch to ignite memories. This approach to senior living helps to create positive reactions in residents to keep them engaged and connected at our assisted living facility. Exercise, games, conversations and everyday events such as cooking, baking, listening to music and taking photos are among the activities residents may participate in on any given day. 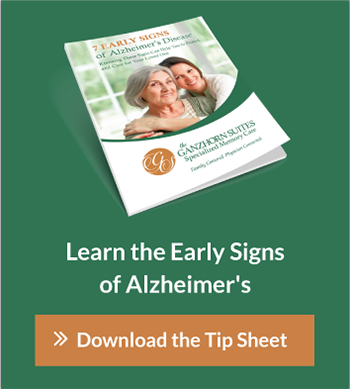 Everyone’s progression through dementia is unique, and our residents include people with early-stage dementia as well as late-stage dementia. Our senior living programs are built to reflect their different needs. We tailor our services to fit each individual to create a supportive environment where your loved one can thrive. Most importantly, at The Ganzhorn Suites assisted living facility, we concentrate on what our residents can and want to do. Our philosophy focuses on capabilities – not inabilities.